The Trinity Uniting Church is located at 62 The Boulevarde (corner of Morwick Street) Strathfield. 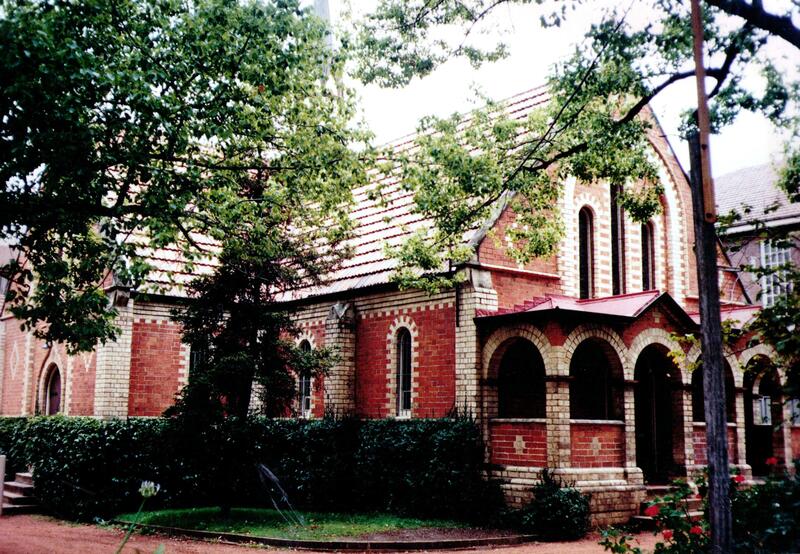 The Church was designed by architects George Sydney Jones and Harold Thompson in 1889 and built by Thomas Henley. The Church was formed by a group, lead by the Reverend George Littlemore and Dr Phillip Sydney Jones, disenchanted with the Burwood Congregational Church decided to establish their own Church in Strathfield. A list of Church members in 1890 shows a number of prominent people and families were involved with the establishment of this church including Dr Phillip Sydney Jones and members of the Jones family (David Jones retail), stockbroker Thomas J Thompson, James Inglis MLA of ‘Billy Tea’ fame and financier Randolph Nott. The Jones, Nott, Thompson, Ross, Wilshire families were all related by marriage as were the architects. The Rev. Littlemore was a close associate of Dr (later Sir) Phillip Sydney Jones. The house ‘Darenth’ 32 Albyn Road Strathfield was owned by Dr Jones, designed by his son George Sydney Jones and leased to Rev. Littlemore. This house is listed on the State Heritage Register and Register of the National Estate. Is this beautiful church still consecrated and in use? Yes it is used by many religions. A beautiful historic church with a wonderful organ.